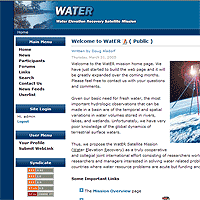 Doug Alsdorf hired me to design this site for a satellite mission that is being proposed to NASA. 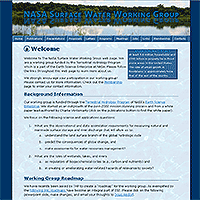 Doug Alsdorf also heads up the NASA SWWG. 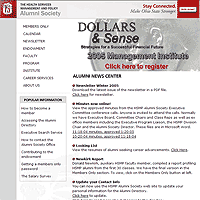 Christine O'Malley originally contracted me to design their site in 2002, but later again to update it with a totally different look. Christine later left and now Jodi Leis has contracted me to create some interactive and fool proof form submission pages. I have also optimized their site a lot from my last design. This is actually the first big site I ever made and ran. 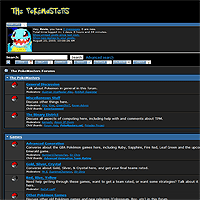 It's still going today as a message board, although I'd like to get my original Pokemon content up and running again. 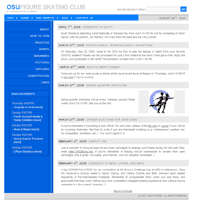 Laurel Miller asked me to help design her Figure Skating Club a website a year or so ago.